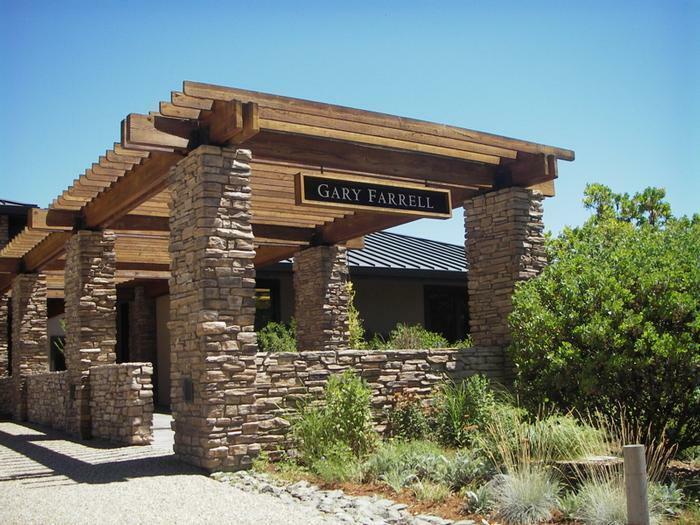 Our founder Gary Farrell was a passionate believer in great vineyards. Long before the Russian River Valley made its mark on the world stage, Gary was out exploring vineyards in the early 1980s to identify grapes from the most promising sites in the valley. With an uncannily prophetic eye to the future, the first wine he produced under the Gary Farrell label was a 1982 Pinot Noir sourced from what would eventually become two of the Russian River Valley's premier vineyards: Rochioli and Allen. Planted just up the road from where he would build his winery, these sites are adjacent to each other on Westside Road and have been meticulously farmed by Joe Rochioli, Jr. for more than 40 years. The success of our wines comes down to relationships like the one we enjoy with Joe and his family. We are committed to maintaining the strong, long-term partnerships we've established with the owners of the iconic Russian River Valley vineyards that form the heart of our wine portfolio, including Westside Farms, Rochioli, Allen, Stiling, Hallberg and more. For the past few years, we have established new relationships with even more of our neighboring Russian River Valley growers. We've added exciting new vineyard sources to our portfolio including Ritchie, Bacigalupi, Pellegrini Olivet Lane Estate and Martinelli, to name just a few. Additionally, we continue to work with exceptional vineyard sites outside of the Russian River Valley to add intriguing counterpoints to our portfolio. These include newer sources like Durell Vineyard in Sonoma Valley, as well as long-standing sites such as Bradford Mountain in Dry Creek Valley and the classic Bien Nacido Vineyard of the Santa Maria Valley, both of which we have been working with for more than a decade. When selecting new sites to work with, each vineyard is critically assessed for the specific climate conditions we require. In nearly every vineyard site we work with, cool breezes and fog from the nearby Pacific Ocean blanket the vines in the mornings and evenings during the growing season, tempering summer's heat and reducing temperatures by 35-40 degrees at night, ensuring a long, even growing season. The slow ripening process that results fully matures the fruit while maintaining healthy levels of acidity. Here in the Russian River Valley, the wide range of volcanic, sandstone and alluvial soils is favorable for Chardonnay and Pinot Noir, providing essential water drainage while retaining sufficient moisture and nutrients to nourish the vines during the appellation's long growing season. These specific conditions yield wines boasting bright, vibrant aromas, intense, yet supple flavors and exemplary balance. Our wines display these characteristics in spades, along with a remarkable purity and elegance of varietal expression.Along with the heritage vineyards our reputation has been firmly built upon, these new vineyard sources give Winemaker Theresa Heredia an even broader palette of flavor and texture to work with in the winery. Wine & Spirits 88"Showing a lot of baby fat right now, this channels posh ripeness toward powerful flavors of mint and smoky oak. The tannins feel firm, and there’s ample acidity to give the wine length—its primary, pungent flavors just need time in bottle to built a more integrated intensity." Robert Parker 88 The interesting 2001 Chardonnay reveals a high acid profile along with a striking minerality, notes of lemon zest, grapefruit, and other citrus. There is medium body, nicely integrated wood, and a spicy finish. Reminiscent of a French Chablis, it should drink well for 2-3 years.